I’ll be honest I was looking at buying the wool boreal pullover that many of you may have seen reviewed on many YouTube videos, but I just didn’t have the money available to spend on it. The boreal pullover looks really nice and looks well made with options that are not on the pullover I purchased but it costs a whole lot more as well. 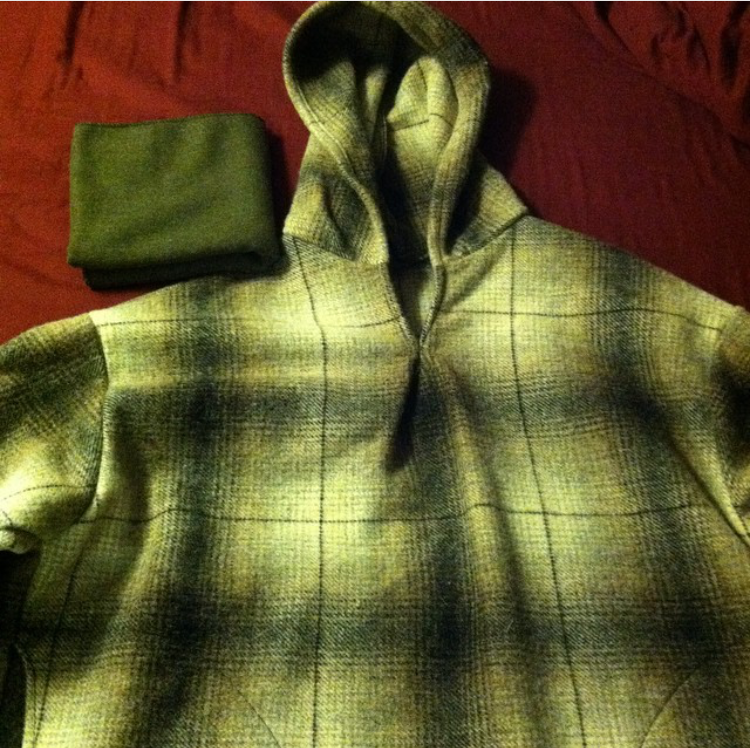 The boreal pullover was well outside my budget. As I was searching the internet for wool clothing I came across this website, http://www.asbellwool.com I looked at the site and all that is available and narrowed down my choice to a wool pullover in the Timber Ghost color. I really wanted a pullover in the blanket weight but I also liked the Timber Ghost color for everyday use so the color choice won. Note each color comes in different weight wool. The Timber Ghost color comes in extra heavy weight wool (25-28oz). Extra Heavy Weight——– 25 – 28oz. 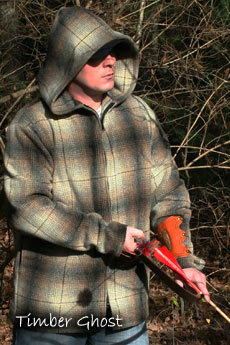 “There’s nothing like wool in the woods, it’s whisper quiet and interacts with daylight and shadows like a natural camo. Our pullover shirts are the base layer of our unique wool layering system. They’re generously cut to hang loose and help break up your silhouette. Hand warming pockets are standard. There’s a hood option for those who like the idea of a little extra protection and comfort. Our hoods are oversized to accommodate hats of all sizes. Try one of our Asbell wool pullover shirts today, they’re the natural choice. I decided to get a pullover without a zipper because in my mind that’s a stress point on the wool, the zipper will inevitably have problems, and I didn’t want anything that could reflect light or make noise well hunting. I wanted a simple pullover with little chance of failure. After deciding what I wanted I purchased one in December as well as an Olive Drab bandana. I ordered the bandana so that I could use it around my neck since the pullover hood does not cinch closed. Everything on their website is handmade by them so expect to have a little wait time. I received my order as expected with the expected amount of wait time. No complaints. First off I will say that these are very well made and are exactly what you expect you are purchasing. The bandana is much bigger than I was expecting, which is a good thing in my mind. The pullover is perfect for what it is. No frills, but functions very well. The pockets are generously sized and the hood works very well, well wearing a hat underneath it. I ordered a large but could have ordered a medium because they are oversized on purpose. The larger size grew on me because I can easily fit it over other clothing and it still hangs loosely. Also by having the larger size I can sleep comfortably in it well in the woods by pulling the sleeves down over my hands easily and the hood covers most of my face when I’m lying on my back or side without a hat on. The pullover really does function very well. I wore my pullover all winter as we had a colder than usual winter this year in New York. It made this winter much more bearable. If you know anything about wool you know that wind does blow right through it so you would need a wind breaker shell of some sort on cold windy days. I wore my wool pullover in conjunction with my light mountain hardware winter jacket. With these two coats and only a tee shirt underneath I would stand out in -15 – -30 degree temperatures with winds blowing over 30 mph and be toasty warm. It was amazing. Trying to do much physical activity and I would get to warm. Whenever it wasn’t windy I would just wear the pullover. This wool pullover was in my budget and functions very well. The only few things I would have liked that the much more expensive boreal shirt has is the neck gusset, a cinch cord for the hood and a cinch cord for the waist. Those things would be nice but I can live without them with the difference in price. This is a great wool pullover that should last you a very long time, and if well taken care of, you could pass on to the next generation. If you’re looking for a wool pullover or jacket I recommend checking out G. Fred Asbell’s website before you make any purchases. I am really glad I found this site and purchased the pullover I did. It works very well for spring, fall, winter, hunting, camping and any other outdoor activity where you want to stay toasty warm. As a plus, wool pullovers won’t burn and melt like synthetic materials will. As always get out and enjoy nature and maybe do it well being a little warmer. Disclaimer: I did not receive anything from G. Fred Asbell or anybody involved with his site to do this review. I paid full price for what I received. I did this review because I really like the products I received and think others would as well.